The Italian Cookie Comes With A Smile. 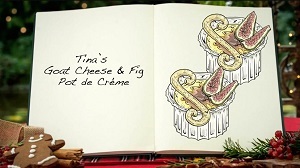 An Interview Of The Great American Baking Show: Holiday Edition’s Winner Tina Zaccardi. 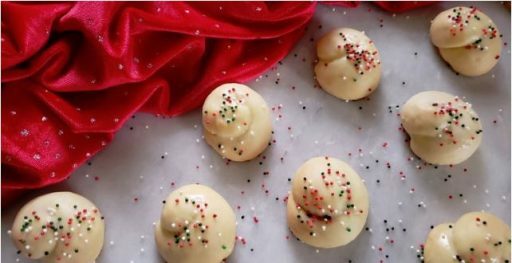 For all the friends who had the fortune to taste Tina Zaccardi’s cookies, cakes, and pies, it was not such a big surprise that she had won “The Great American Baking Show: Holiday Edition”: the heavenly experience of flavoring her desserts convinces you immediately that you are dealing with an artist and a winner. 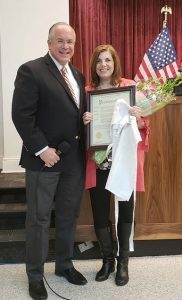 So much so that in the towns of Tuckahoe and Eastchester no TV was turned off the day she participated in the final episode. Call us fans, aficionados, devotees, followers, groupies or whatever else, only a person who tasted her sweets can understand the love for her baking products and for her (she is humble, soft-spoken, and always carries a wonderful smile, all qualities that add up to her charismatic presence). I had the opportunity to ask her a few questions regarding her recent experience. Tiziano Thomas Dossena: You have a great passion for baking and cooking in general. When was this developed? Was there a turning point that made it so? Tina Zaccardi: I started baking when I was very young by watching my mother and grandmother. I started to see that everyone enjoyed eating what I was baking and it gave me a great sense of satisfaction and confidence. As I got older I found that baking was a way to set myself apart. It was also a way to make my family and friends very happy by baking something that they love. 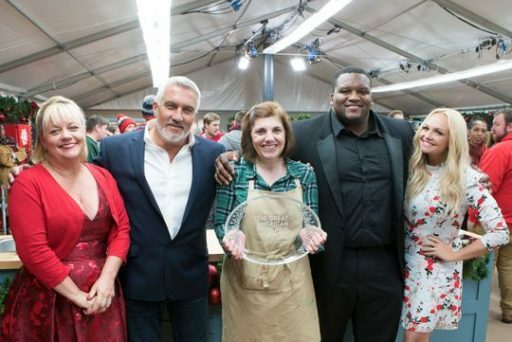 Tiziano Thomas Dossena: Was the participation The Great American Baking Show: Holiday Edition hard to obtain? What was the process for admission and? What prompted you to apply? Tina Zaccardi: The process started with a 75 question application. The next step was an interview with a producer; I was then invited to a tasting interview where I have to bring a few of my bakes. They must have liked what they tasted because I was sent through to a live baking audition. 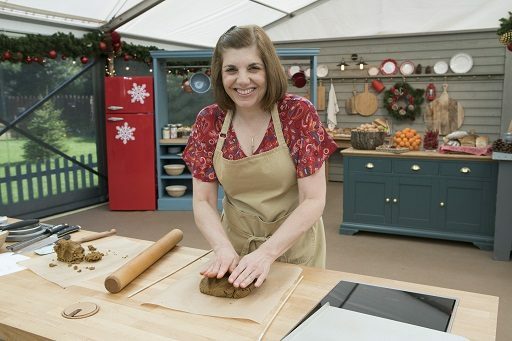 From there I was chosen as one of the 10 bakers to appear on the show. The reason for me wanting to apply is a bit of a story. I was sitting watching TV about 5 years ago and came across The British Baking Show on PBS. I immediately fell in love with the format and said to myself if they ever do an American Baking Show I would definitely apply. Tiziano Thomas Dossena: You did stay 25 days in England to tape the show. Did you tape an episode per day? Were you always told what type of dessert you had to bake or did they leave it to your choice? How were the judges? Tina Zaccardi: I was in England for 25 days filming the show. We did not film every day and had 1-2 days off in between filming. Of the three bakes per episode, I knew what I would be baking for two of them. The technical challenge was a total surprise. The judges were great! They gave constructive and honest feedback regarding our bakes and could not have been nicer!!! Tiziano Thomas Dossena: Could you tell our readers what were the most memorable moments of this unique experience? Tina Zaccardi: There were so many experiences but I’ll tell you a few. I never expected to win, so moving forward in the competition every week was like a dream come true. 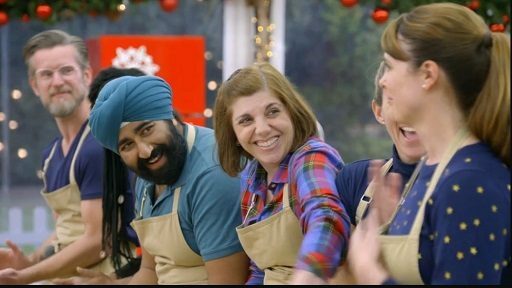 One of the most exciting experiences was when I got a handshake from Paul Hollywood for my Chocolate, Cherry, Pistachio Rugelach cookies. 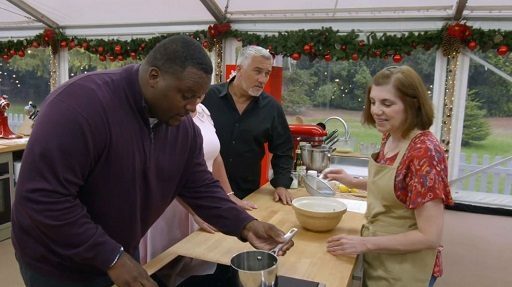 For anyone one that has watched the British Baking Show getting a Hollywood Handshake is as good as it gets!!! Definitely, winning Star Baker twice was a twice in a lifetime experience. Also, the great times I had with my fellow bakers outside of the competition is something I will always treasure. Tiziano Thomas Dossena: Was there a moment of distress in which you felt you had lost your chance to win? 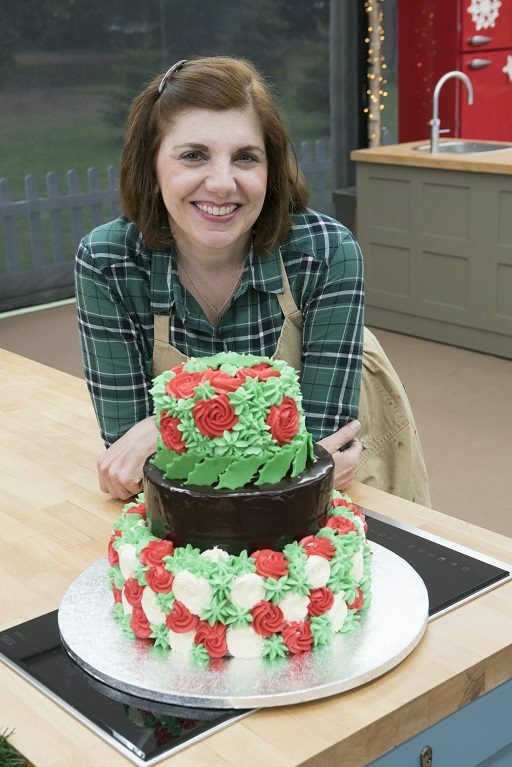 Tina Zaccardi: I had a few moments, but I think the most stress I felt was during the Showstopper Bake for Cake Week. I had a problem with my cake and I thought that if I served what I had to the judges I would definitely be going home. I had to compose myself and bake a different cake all from memory. 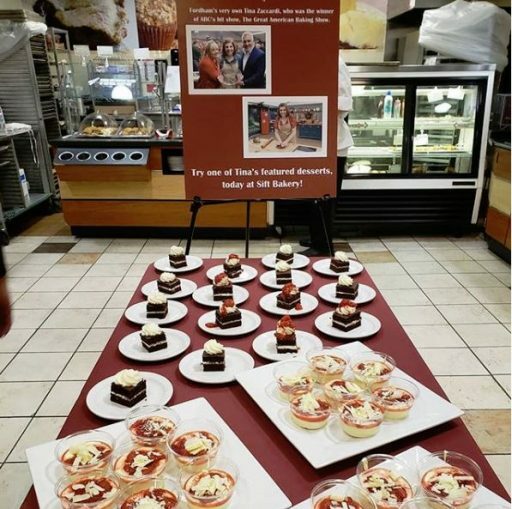 Tiziano Thomas Dossena: What were some of the desserts you prepared for the contest? Tiziano Thomas Dossena: In 2013, you were the finalist of the “Joyful Cook-off” on the “Today Show.” Could you tell us more about that? Did it require a long time for you to go through the process, as it did for “The Great American Baking Show: Holiday Edition?” What were the main differences? 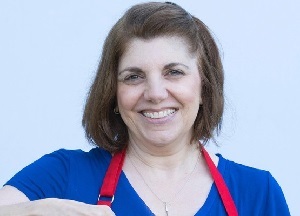 Tina Zaccardi: The Joyful Cook-Off only required that I submit a single recipe and mine was chosen as one of the top three. 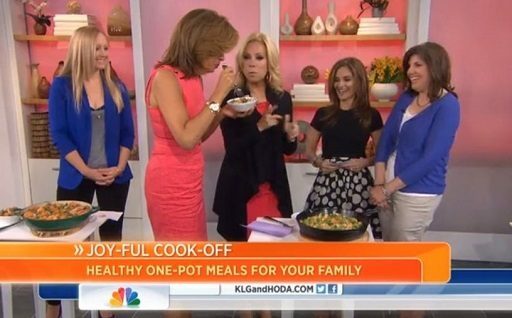 I got the opportunity to present my recipe on the Today Show. 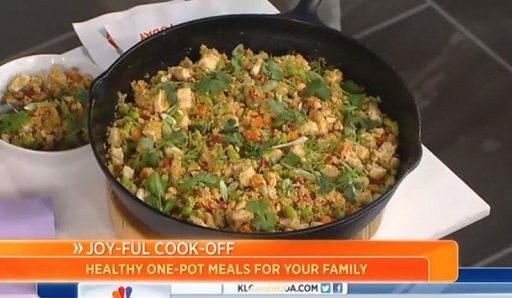 My recipe was a Thai Inspired Chicken and Couscous. Tiziano Thomas Dossena: In that same year, you also appeared on “The Chew.” What did you do on that show? 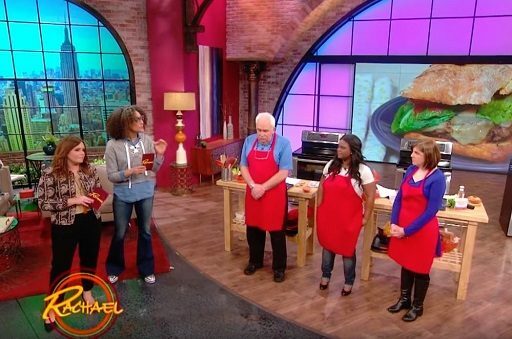 Tina Zaccardi: The Chew had 3 viewers participate in a dessert cook-off. I won with my recipe for Peach Blueberry Crumb Pie with a Pecan Crust. 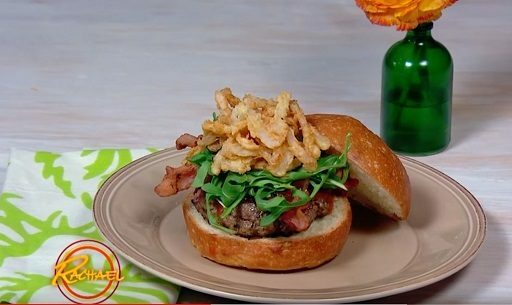 Tiziano Thomas Dossena: What about “Rachael Ray Show’s 10th Annual Burger Bash,” which you won in 2016? How exciting was the show and what did you win with? Tina Zaccardi: Rachael had three viewers compete in a burger bash. My winning burger was a beef patty stuffed with roasted garlic and gorgonzola topped with arugula, bacon, homemade tomato jam and frizzled onions. Tiziano Thomas Dossena: Do you expect to have more TV appearances in the near future? Are we going to see any “Tina Zaccardi Special” anytime soon? Tina Zaccardi: You never know what the future brings. Maybe there will be another TV appearance!!! Tiziano Thomas Dossena: What about the possible commercialization of your products? Do you want to continue to bake for fun or are you looking into a possible partnership with some company for your products? Tina Zaccardi: Right now I’m taking one day at a time and have a few things in the works. Tiziano Thomas Dossena: Do you believe your Italian roots influenced your baking and life choices? 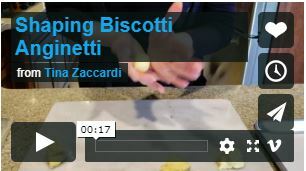 Tina Zaccardi: I do believe that my Italian roots have influenced my baking. I tried to put some aspect into each of my bakes on the show. THE GREAT AMERICAN BAKING SHOW: HOLIDAY EDITION – Tina and her tricolor cake, inspired by the colors of the Italian flag. Tiziano Thomas Dossena: Do you have a message for the aspiring bakers and chefs who read our magazine? Tina Zaccardi: Whatever you do, whether it’s baking or something else, don’t ever believe that your dream is too big. If I believed that, I would never have auditioned for the show. Never underestimate the benefits of hard work. I’ve been practicing and researching and learning for a long time. I believe that my hard work and preparation had prepared me for anything that I would have to bake on the show. Even though I won, I still believe that I still have so much to learn. I would like to thank you and your magazine for giving me the opportunity to tell my story.